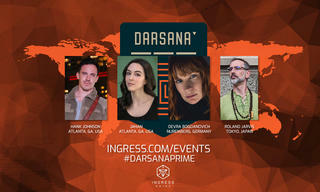 The rules for #DarsanaPrime are now live. 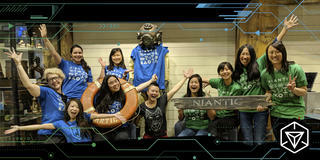 You can find them at ingress.com/events/anomaly-rules and you can still register for the XM Anomaly! Agents in each faction are competing for one of two Darsana Lenses (one each weekend). Over three hours, the factions will be competing in four simultaneous competitions. As an agent, you will be able to participate in any of these areas, but you may do best to focus on one. The Darsana Lenses are oracular lenses: you see a vision of the future, and you see a path to reach it -- an invisible map to the future you see when you look through the lens. Possession of a Darsana Lens will beneﬁt your faction in Abaddon Prime, and help determine the ultimate fate of the Osiris Universe. 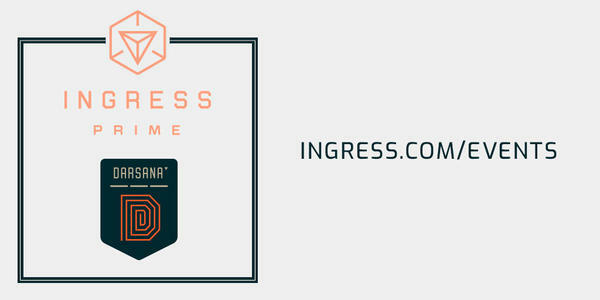 All agents participating in the anomaly will be recognized by the NIA with an in-scanner badge, and will receive double AP for their actions during the anomaly. There will also be a global AP multiplier during the entire anomaly period, so participants will receive a total of 3x AP. All portals within the Anomaly Zone will be ornamented during the anomaly. Portals within the Anomaly Zone will become neutral shortly before the anomaly (approximately 1-2 hours before). This will not change the inoculation period. During the anomaly, ﬁelds over the Anomaly Zone may spontaneously de-materialize when detected. This includes ﬁelds which cover a large part of the Anomaly Zone, even if they do not cover the entire Anomaly Zone. Links which partially or completely cross the Anomaly Zone may also de-materialize, especially if either end is outside the Anomaly Zone. The anomaly will run for three hours. Three competi- tions are running simultaneously over the entire anomaly period, with multiple measurement points and shifting portal roles. One overlay will also be running over the entire anomaly period, and scored once at the end. Agents are trying to capture Anomaly Zone portals and control them. The Faction with more portals wins. Details: All Anomaly Zone portals will be in play. A portion of Anomaly Zone portals will be "volatile", and worth 2 extra points for capture (for a total of 3). Volatile portals will be ornamented as below. Which portals are volatile will change during the anomaly. There will be nine measurement points: 2 in the ﬁrst hour, 3 in the second, and 4 in the third. These will happen at 30 minutes, 60 minutes, 80 minutes, 100 minutes, 120 minutes, 135 minutes, 150 minutes, 165 minutes, and 180 minutes after the start. A faction's raw score at a measurement is the number of Anomaly Zone portals they control, plus the extra points for their controlled volatile portals. A Faction's raw score at the end of the anomaly is the highest score they achieved at any measurement. Agents are trying to create a long path of links from one of their faction's start portals, up to 8 links long. The subsequent links in a path will be more valuable, and longer links are more valuable. The faction with the highest scoring path wins. 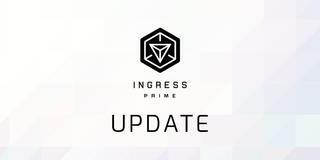 Details: Agents are competing to create the longest continuous path of up to 8 links from one of their Faction's start portals. There are several portals marked as "start portals", each identiﬁed with one faction; which portals are start portals will change during the anomaly. 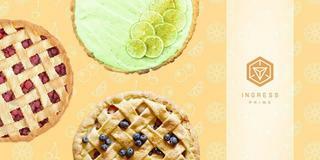 They will be ornamented as below. An Exponential Path must start from a start portal, and will only be followed to other anomalous zone portals (links to off limit portals or portals outside the anomalous zone will not be counted), and cannot loop (links to portals already included in the path will not be counted). The ﬁrst link in a path is counted as its length, in km; the second is 2x the length in km; third is 3x, and so on up to 8x. A faction's raw score at a measurement is the total weighted score of their single longest path from any of their start portals (1x ﬁrst link length + 2x second link length + 3x third link length + 4x fourth link length + 5x ﬁfth link length + 6x sixth link length + 7x seventh link length + 8x eighth link length). minutes, 120 minutes, 135 minutes, 150 minutes, 165 minutes, and 180 minutes after the start. A faction's raw score at the end of the anomaly is the highest score they achieved at any measurement. Agents are trying to collect Artifact media items, hacking them out of ornamented Portals and trading them to collect full Sets. The Faction with more complete Sets wins. Details: Various portals in the anomaly zone will brieﬂy become active and drop Artifact media items; while active, they will be ornamented as below. This active period may be as short as a few minutes. Each Artifact belongs to a Set of Artifacts. There will be multiple Sets and multiple copies of each Set. 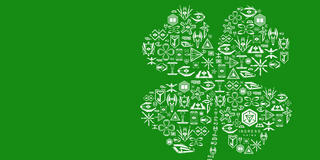 For example, one Set might include Alpha, Beta, Gamma, Delta, and Omega Artifacts; and another might include Red, Orange, Yellow, Green, and Blue Artifacts. Which portals drop artifacts will change, and what Artifacts they drop will also change. A Faction's raw score is the number of distinct full Sets held by its Agents at the end of the anomaly (the measurement time for an individual agent could lag by up to an hour after the end, however, so Agents should hold onto their Artifacts until well after the anomaly ends). If an Agent holds multiple copies of the same full Set, it will only be counted once. For each Faction, the highest and lowest 15% will be removed, and from the remaining Agents, the Faction with the higher average will win the competition, gaining 75 points towards the overall anomaly score. The raw scores for the three competitions are each scaled to sum to 100 total points for each competition. These scaled scores for each faction are added to 75 points for the overlay, winner-take-all, to create a total score for the anomaly in that city. The faction with the higher total score wins the anomaly in that city and gains 1 victory point towards the weekend's victory. The Anomaly Zone portals will have the following indicators of their type. Anomaly Zone portals with no other role will have the grey circle as indicated. Volatile Portals for the Portal Capture will have the orange hexagon. Portals which are actively dropping Artifacts will have the teal square. Start Portals for the Longest Path will have triangles, fuchsia for Resistance and yellow for Enlightened. All Anomaly Zone Portals will have an ornament of some kind during the three hour anomaly competition. From the beginning of the APAC anomaly to the end of the AMER anomaly, all agents globally receive 1.5x AP. For all registered and checked-in agents, for the three hours of their local anomaly they will have a further 2x AP multiplier, for a total of 3x during their three hour anomaly. Bonus AP for registered and checked-in agents will be provided after the anomaly, within a week of the anomaly end (it will be automatically added to their scanner, and they will receive an email with the amount). At each anomaly site, participants will have their Unique Portal Hacks and AP gained measured through the course of the anomaly. This will be posted on a public leader board, and each Agent's individual leader board performance will be sent to them. The highest performing agents from each site will be recognized in Ingress media channels. There will be a Global Challenge occurring during the anomaly weekend. From the beginning of the ﬁrst anomaly to the end of the last anomaly during a weekend, the number of distinct portals captured by each Faction will be counted. If a portal is recaptured during this period, it will be counted only once per Faction. Whichever Faction captures the most portals during this period will win the Global Challenge, and receive 1 or 2 victory points (2 for the February 23rd weekend, 1 for the March 23rd weekend) A Faction's score for the weekend is 1 victory point for each city it won, plus the Global Challenge victory points. 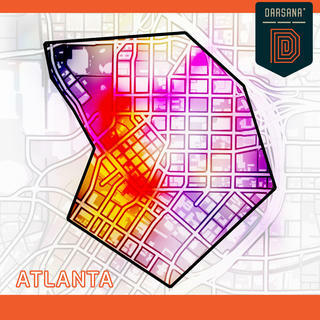 The Faction with the higher score wins the Darsana Lens for that weekend.